Clique na imagem acima para ir direto para o Blog do Lessa. Notice: This address is being deactivated because The Lessa Blog has moved to a new address. Click on the above image to proceed directly to the Lessa Blog and continue to see/read politically incorrect news and commentary. Esta é uma espécie de tartaruga rara, que põe a cabeça para fora só de quatro em quatro anos. This is a rare species of turtle; it only sticks its head out once every four years. Flagrante da manifestação na Avenida Paulista, em São Paulo, realizada por conservadores, coxinhas e membros da zelite quando foi anunciado que Aécio Neves se tornou réu no Supremo Tribunal Federal. Snapshot of Avenida Paulista, in Sao Paulo, during demonstration by conservatives and members of the oppressive elite when it was announced that senator Aecio Neves became a defendant at the Brazilian Supreme Court. In this video, I talk about Brazilian Supreme Court Justice Gilmar Mendes’ contradictions. As a jurist and author of books on Constitutional Law, Justice Mendes writes and teaches one thing but practices exactly the opposite, as it was the case on the vote involving a habeas corpus for former president Lula da Silva. Meus dois centavos sobre o carnaval montado em torno da prisão do canalha Lula da Silva, chefe da maior organização criminosa de que se tem notícia no hemisfério ocidental. My two cents about the mess surrounding the arrest of Lula da Silva, head of the supposedly largest criminal organization the Western Hemisphere. LULA NA CADEIA – As Manchetes! Estas são algumas das manchetes que o Blog do Lessa aguarda há vários anos. 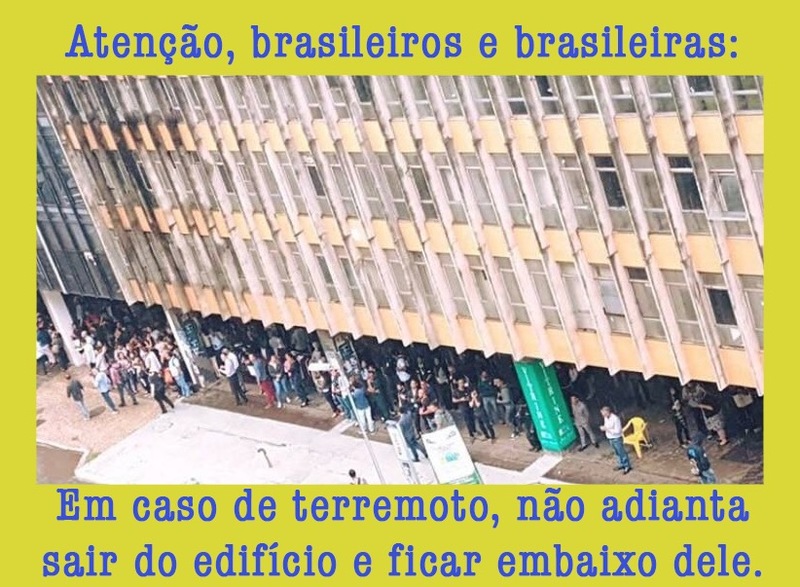 Demoraram, mas chegaram! These are some of the headlines the Lessa Blog has been waiting for so many years. It’s been a long time coming! O Blog do Lessa assina embaixo. The text above lists the major wrongdoings of the Workers Party along the years and clearly shows who is trying to misguide and sabotage the country’s affairs. The Lessa Blog wholeheartedly agrees with those terms. Use this as an exercise in Brazilian Portuguese, so you can improve your translation skills. Don’t you cry, little baby. Daddy’s gonna put you in the playpen pretty soon! In this video, I remind Brazilian voters about the outright lies the old-school (and newcomers, too) politicians keep telling everyone. Glaring examples are Sao Paulo’s mayor Joao Doria, current president Michel Temer and current Sao Paulo governor Geraldo Alckmin. Three shameful examples of people who should not be in a position of power in this country.